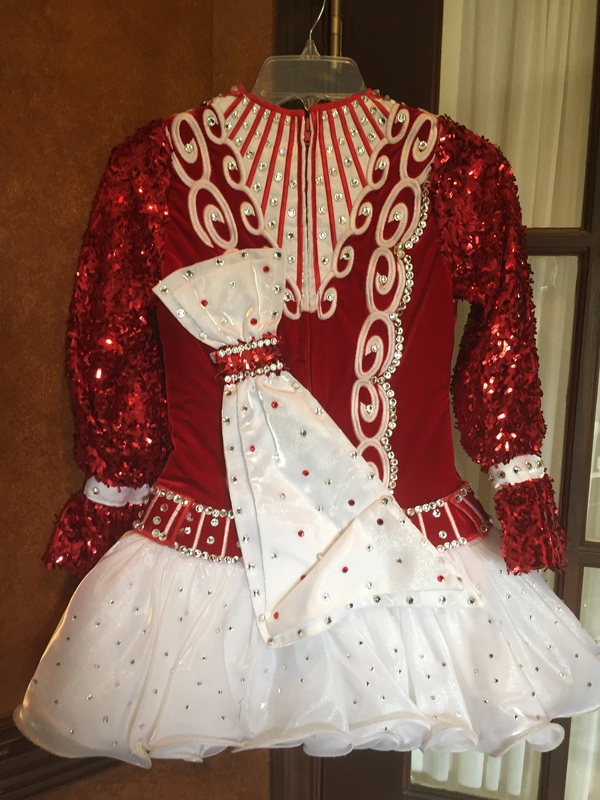 Beautiful red velvet bodice with red sequined sleeve dress. 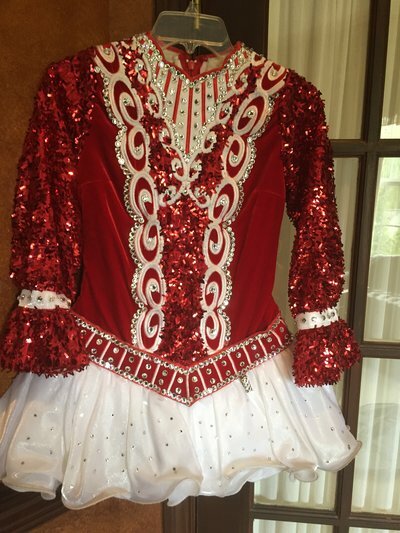 Very sparkly with bright rhinestones all over the bodice. White flounce skirt with rhinestones. 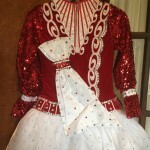 White scarf on the back with red and clear rhinestones. No room for it to be let down.